This is our Flagship 6 week Foundation course for initial cleansing of your arteries. This Foundation Program offers a total of 90 grams of concentrated pure liquid EDTA Cardio Renew. It is also recommended to take Vitamin C and Vitamin E alongside this course. 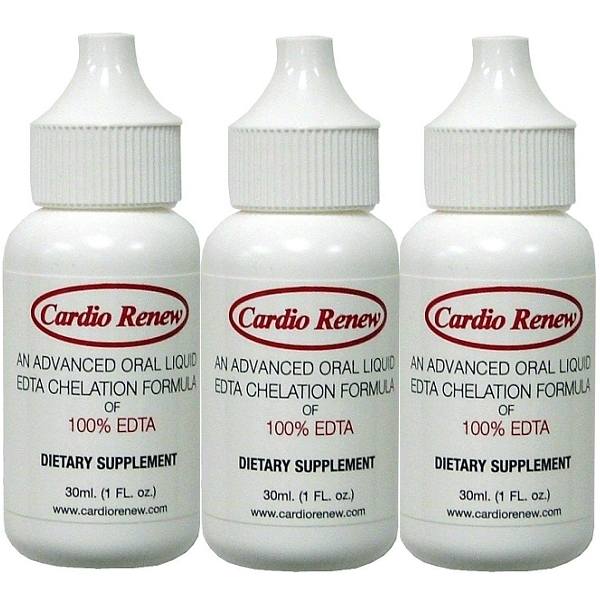 Take Cardio Renew at 1 hour intervals or spread out the doses throughout the day. Wait 10 minutes after taking Cardio Renew before drinking additional liquids. Wait 1 hour after taking Cardio Renew before taking any other medications, supplements, food or consuming alcohol. 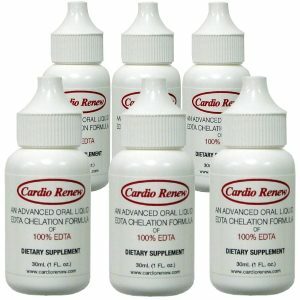 Wait 3 hours after taking any medications or other supplements before taking Cardio Renew. Never stop or alter the usage of any prescribed medication or treatment without your Doctor’s knowledge and consent.